times the emphasis has evolved as a system of energetic healing, utilising specific Japanese meditative practices and breathing techniques .Reiki is successfully utilised as a supportive or complementary technique in medical practices such as hospitals, Cancer centres , Hospices and Aids Clinics around the world. 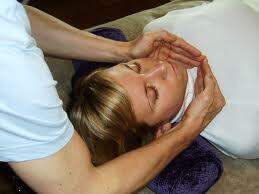 Seichem is based on and originated from the same source as Reiki. Tera-Mai Seichem was given to Kathleen Milner by Buddha and through Tera-Mai Seichem we call forth and channel all four elements: Earth, Fire, Water and Air. REIKI – is Earth Element, this can be experienced as hot or cold characteristics of the earth energy are those of grounding and foundation. Reiki is fundamental to all other elemental healing rays. 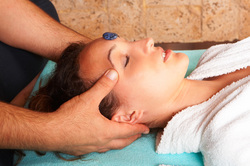 Reiki harmonises and rebalances the physical, mental, emotional and spiritual bodies. blockages in the physical, mental, emotional and other spiritual bodies. Sakara grounds all other healing energy. SOPHI-EL – Water Element, This can be experienced as cool. Sophi-El reaches deep into the core within the emotional bodies, it opens the heart to receive love and feel compassion, aiding emotional and sexual healing. AIR / ANGELIC LIGHT – is a two-fold ray, working with both the element Air and the Angelic realm. This can be experienced as cool wafting breezes. Air expresses the qualities of communication, enhancing the healer’s perception and facilitating an improved spiritual link between the client, healer and Ascended Master. It enhances the power of the third eye. Healer & healee often experience the presence of Angels.